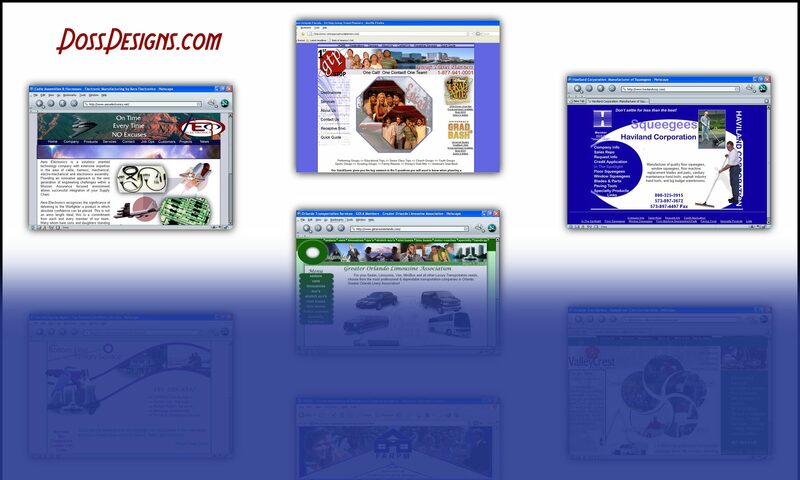 Your Website Design and Marketing Solution – Page 2 – Always accessible! Internet solution for the small business owner. Google’s Algorithm Changing Again! 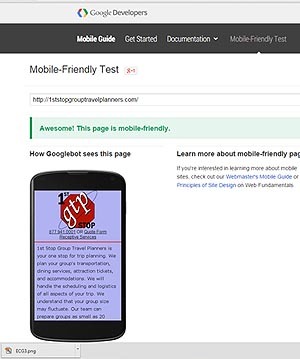 Favoring Mobile Friendly Sites! Rumor is that on Tuesday April 21, 2015 Google is going to change their algorithm favoring mobile friendly sites. So what does this mean for you? If you have a fairly new site that was developed in something like WordPress, Drupal or Joomla, chances are you are fine and have a responsive website that is considered mobile friendly. And if not, these programs offer many templates or themes and all you will have to do is download one that is responsive. But what if you have had your site for years and it was designed with older html that was not set up with a different version or page to show properly on smartphones? 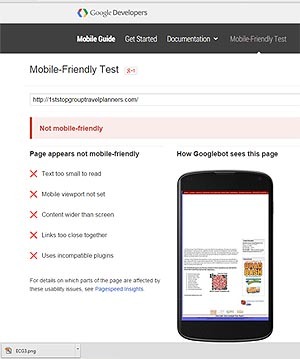 Google has pages and pages explaining what you can do to gain a “green light” from the Google Mobile Friendly Test Page. I have broken it down to the bare minimum required, since time is now of the essence. Next, you need to create a mobile.html page. This page should be fairly bare without videos, flash, etc. I usually have the site logo, under 250 px wide, although you can probably go up to 600. The logo is immediately followed by a mobile friendly phone number and link to the contact form if applicable. Then I place the main text from the site, followed by a list of the top level pages. And finally at the bottom, your copyright, contact and form links again. Mobile Friendly Test Site to see if you need to make an more alterations. And you are done!Please Note: You need to do this for every page of your site by creating a duplicate mobile page of that pages content. It appears many sites with duplicate content and bad business practices were penalized with no recovery even a year later. The reason … Google’s algorithmic changed. This isn’t the first, but it was one of the hardest hitting when it comes to how many pages of your site Google is indexing. Just a few bad pages affects the entire site – it is a domain level penalty. In my ongoing effort to keep my customers sites secure and all modules update for the best possible webpage response, I have recently discovered how to update the core when needed. Messages will appear at the top of most of the admin pages if a new core or security update has been released. Most likely you will also receive an email to the administrator of the site. This month GoDaddy servers went down. I was in the middle of updating a site; I had just added a user to a Drupal account and thought I had let in a breach. I immediately looked at GoDaddy�s system alert site that showed green, no problems. I called tech support and he also said there were no reported problems. Next, I switched to live chat which connects customers to more knowledgeable technicians, level 2 techs. His first response to my panic that I had lost contact with my server was, “We currently are experiencing network issues due to our primary network provider experiencing downtime.” A gush of relief came over me now knowing my server had not taken a fatal blow, and that the 50 calls I was going to start receiving any minute were not going to be voicing their frustration directly at me! Turning to twitter to inform others about this too frequent problem with #godaddy #serverproblems hash-tags, my tweet was instantly picked up and retweeted showing many others were also looking for answers as to why their sites and mail were down. So far in 2015 there have been 10 days where outages have lasted for over an hour. So the dilemma is – is there another service provider with a better record of up time. Two years ago I wanted to leave, as their tech support were about the same level of intelligence as kindergartners and they had just taken away a 30% monthly discount that they had given me for over five years. I should have left then, as every year I acquire more customers, with heavier sites that are using databases or SSL certificates and it is becoming more difficult to even broach that question. I have heard of several of these companies but will have to do a more in-depth search before venturing into moving all my client domains into uncharted territory. Your comments and suggestions are welcome.